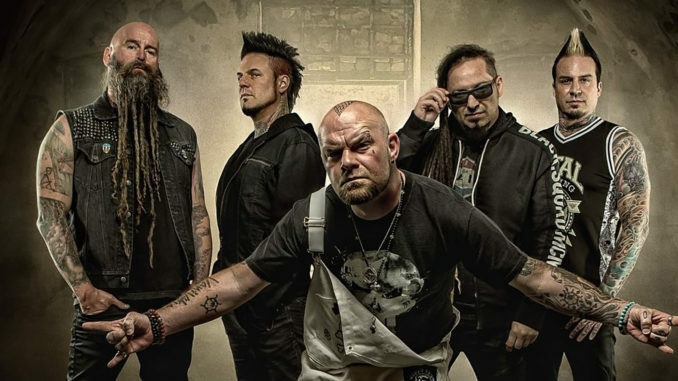 Five Finger Death Punch have joined forces with Queen’s Brian May as well as country star Brantley Gilbert and blues-rock musician Kenny Wayne Shepherd for a special version of the song “Blue on Black,” originally recorded and co-written by Shepherd, and covered by FFDP on last year’s And Justice for None. The new version is available now worldwide, and premiered today with an official music video taking viewers behind the scenes into the creation of the all-star rendition. All proceeds from this collaboration version of “Blue on Black” will be donated to the Gary Sinise Foundation, which honors America’s defenders, veterans, first responders, their families and those in need. Gary Sinise, the award-winning actor behind the Gary Sinise Foundation, also commented on the project. Watch his message below.